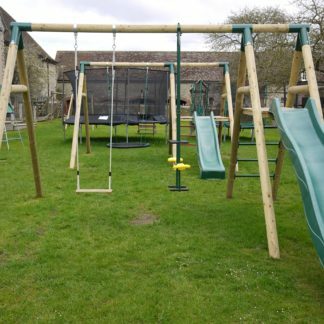 The Toy Barn, Sherborne, supplies our own Orchard Range of swing frames in round wood timber; a wooden double swing, a wooden single swing and a swing with platforms and slides attached. 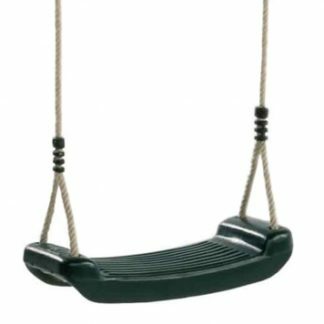 We also stock TP swings , wooden swings including the, tp9, tp201, tp206 the TP302 forest acorn growable swing frame, the TP304 TP Forest Double swing. 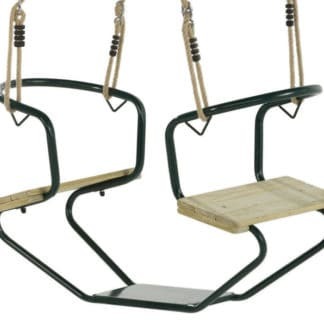 TP802 round wood double swing frame , TP803 triple wooden swing . 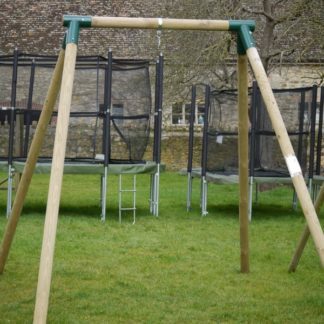 We also stock steel / metal swings; TP131 double swing frame and the TP132 triple swing frame. 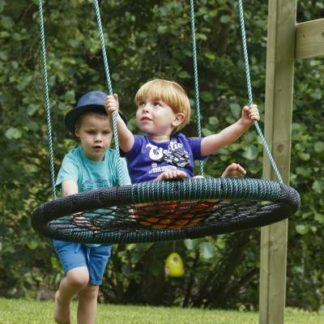 These metal swings are very sturdy and are built from galvanized metal. Construction is simple 4 bolts only. 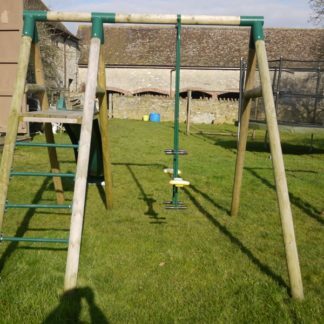 The Orchard swing frames from The Toy Barn is supplied with “around swing hooks” which are bolted into position at the correct distance giving a very safe fixing for your swing seats. 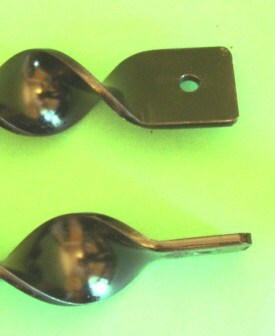 The swing brackets are already fixed into position for correct alignment and ease of building. To assemble you have to insert the legs X 4 and do up the coach screws X 4. Then stand the swing up and you are done. Standing the swing frame up will require two persons. 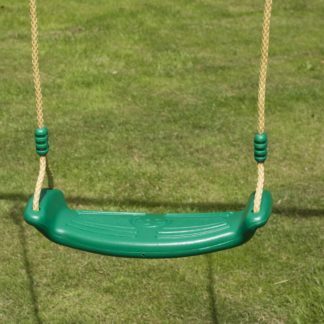 The swing is so large and heavy that it is almost impossible to do it by yourself. Ideally the swing is built on level ground. It is however important when building your swing frame that it is level from left to right. It is possible to dig the legs in to bring it level. 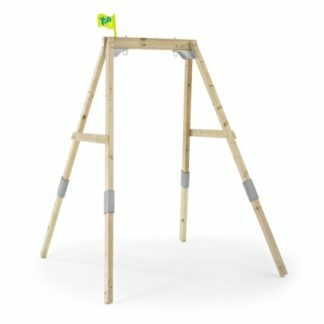 Our swing frames are taller than the average swing. At 2.6m high, the longer legs and wider stance means the frame is less prone to movement during use. We do supply ground anchors for the swing should you need them. 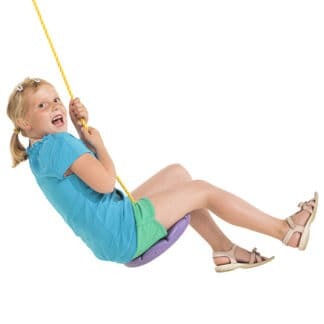 Because the swing is higher this gives you a longer pendulum, this gives a better swinging motion and can also be used to hang our Cacoon tents that require a minimum of 2.4m. This extra height and additional durability also means our frames can take adult weights too.